Corpse Husband Bio, Family Life, What Did He Do To Become Famous? Home Media Personalities Corpse Husband Bio, Family Life, What Did He Do To Become Famous? The possibilities of the internet are just endless. Whether good or bad, one fact that is impossible to deny is that the coming of the internet brought with it the emergence of so many trends and has created jobs for many. It is a known fact that there are several jobs that didn’t exist until the internet came. It has made many others famous and when I say famous; I mean really famous because otherwise, the world wouldn’t have known or heard about many influential persons and celebrities today. For the likes of Corpse Husband, the internet has not just given him a job, it has also made him famous. But what is it exactly that Corpse Husband has done to become pretty famous online? Here are the facts and details. Corpse is yet to reveal his real name and until the day he makes up his mind to so do, we just have to accept him by his Youtube name Corpse Husband. He was born in San Diego, CA, on the 18th of August 1997. 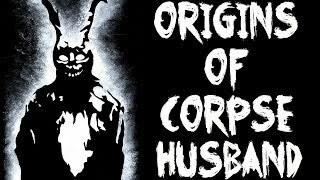 As to how he came about the name Corpse Husband, he said the name came while he sat down for 20 minutes trying to come up with a name for his Youtube channel. He had written down a few names to consider when the name Corpse Husband came up and he thought to himself, this should be it. He, however, said he later thought the name was uncool but his girlfriend at the time thought the name was just perfect. He is white but claims to be of mixed racial decent; he has mentioned Italian, Portuguese, and Spanish as his ancestry. Corpse is a school drop out, he said he took the bold decision in the 8th grade due to personal issues. He went back to school after a while but dropped out again for good this time. According to him, he was a very rebellious student and did well in just two subjects: English and Computers. Back in high school, Corpse played baseball and made the front page of his school’s sports website, he also played soccer and was well known in his neighborhood, he even appeared in the neighborhood’s newspaper for doing so. The Youtuber is very secretive about his personal life, his real name is not known, no one even knows what he looks like as he has never revealed his face to fans. He, however, claims that beside the half mask, he looks a lot like his YouTube profile picture. His family life is not known and although he has mentioned his mom in his videos, no one knows her name or what she looks. Info about his father and his siblings (if he has any) is also not known. However, it is known that he was born in San Diego and later lived in Murrieta, California. Corpse Husband was living in a rented apartment with his girlfriend before they broke up. He now lines alone. Also Read About: Who Is Sky Williams (YouTube Star), Is He Gay, Where is He Now? Corpse belongs to a community of YouTubers who go by the name Horror Narration Channels. His Youtube channel is unique and different from all other horror narration channels for two reasons – he reads true horror stories, irrespective of where it is coming from. Sometimes the stories are sent in by subscribers, other times he sources them from other platforms like subreddits (NoSleep and LetsNotMeet). His deep, distinguishable voice, makes his story reading interesting, captivating, entertaining and of course, frightening. When he first started doing videos, he could not afford most of the gadgets he now has, so he would use a microphone zip-tied with rubber-bands on a pop-filter and that was why it sounded so weird at the time. A few people enjoyed his videos and his fan base began increasing gradually. Mr. Nightmare was one of the first big Youtube channels to comment on his videos and this really encouraged him to continue narrating. Today the channel has over 900,000 subscribers and has garnered over 91 million viewers. While growing up, he listened a lot to narration channels like Chilling Tales For Dark Nights, MrCreepyPasta, and Cryaotic. He would later stumble on channels like Mr. Nightmare, Lazy Masquerade, and Be. Busta, who basically narrated true horror stories. These channels inspired him to launch his own Youtube channel in July 2015.